As many here know,I've decided to start building The Steel Beast into a corner carving, AutoX machine. That meant stepping from drag racing that I've done since a teen,and building a vehicle that would be more versatile & reliable than the old school, typical 37 year old G body El Camino I'm currently driving. While researching suspension for months on end,I decided it was time to pull the trigger on rear suspension,and build a vehicle to my personal liking which includes adjustments to ride height as I want to lower the center of gravity to improve handling and of course,the stance. 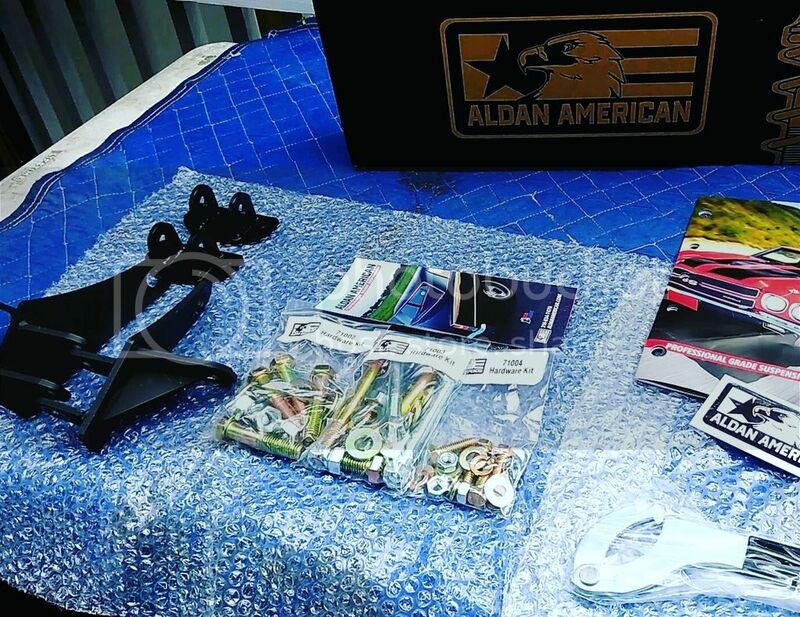 Budget,quality & simplicity are 3 key aspects I look for when researching reputable suspension components that would work together on my 1980 El Camino, and that's what led me to Aldan American coilovers, as they offered exactly what I wanted when it came to quality and price! While crunching specs & numbers on the good ol' interwebs,I compared Aldan American to otber brands such as QA1,RideTech,Viking, & Detroit Speed. The first things I looked for were spring rates, lowering capabilities,and adjustable valving options. 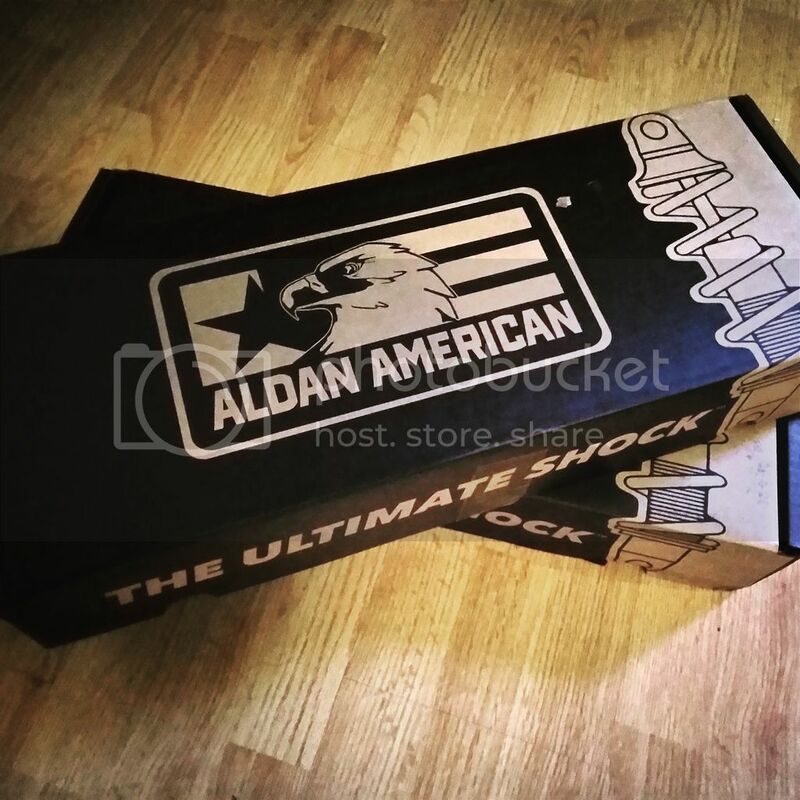 Aldan American currently has 3 spring rates for the rear of my El Camino which are 120lbs for drag racing,160lbs for street/light track use ,and 220lbs for Autocross. 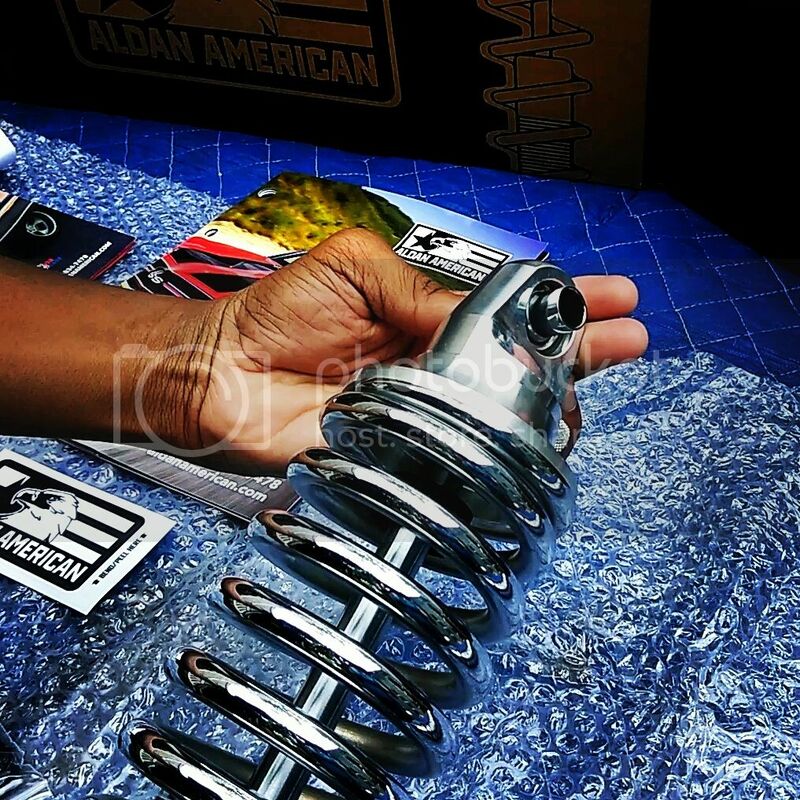 I wanted a coilover that would let me go as low as possible,and Aldan American does that as theirs go up to 3 inches lower while the other brands go either 1.5" or 2". 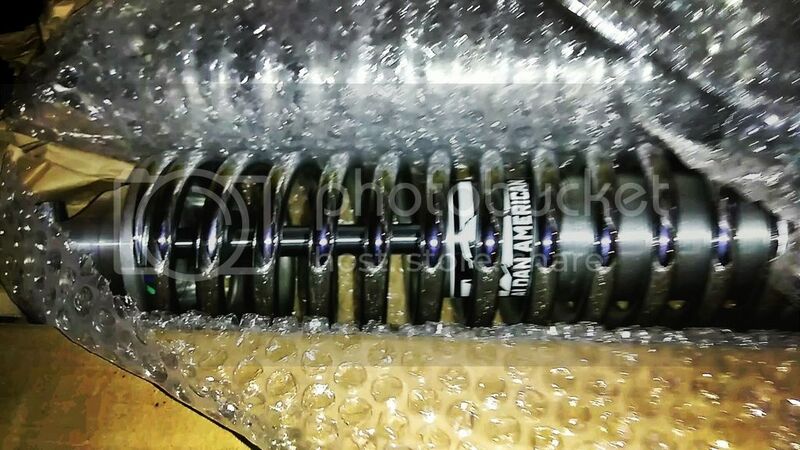 Understandably,I didn't want to go overboard with a double adjustable 220lb spring since I drive my truck daily,so I settled for the simplistic middle option of a single adjustable 160lb spring rate. And last but not least,the price was PERFECT! Their coilovers are mid range and affordable since they fell right in with what I wanted at $658. You can find them at OPGI, JEGS,and Summit Racing. 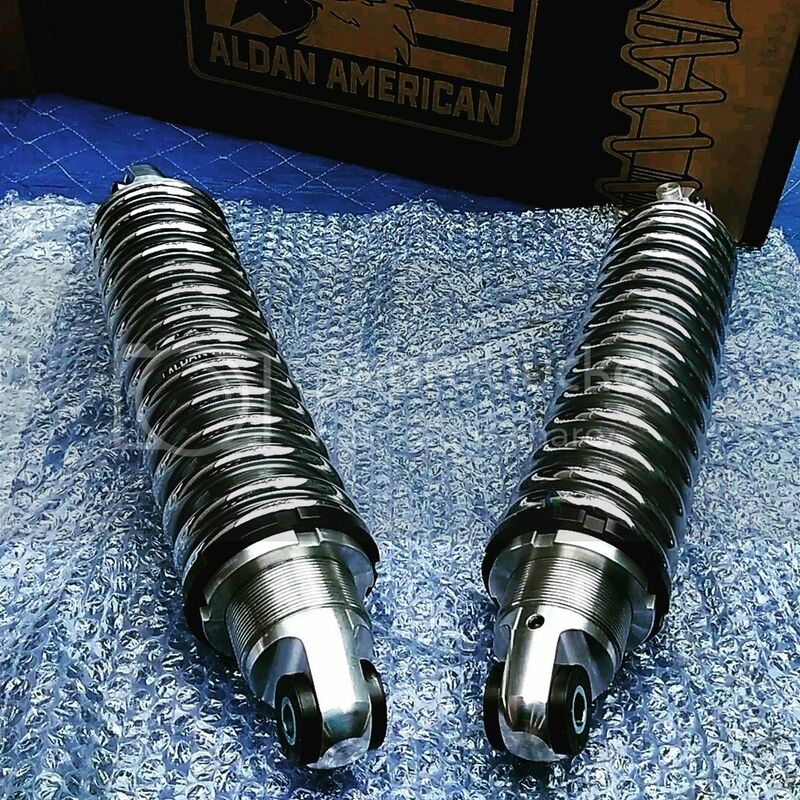 I called up Aldan American and spoke with their customer service which confirmed my thoughts and pointed me in the direction of a single adjustable 160lb coilover set,part number AGRNS*rear kit with*12-160CH2*chrome*coil springs. 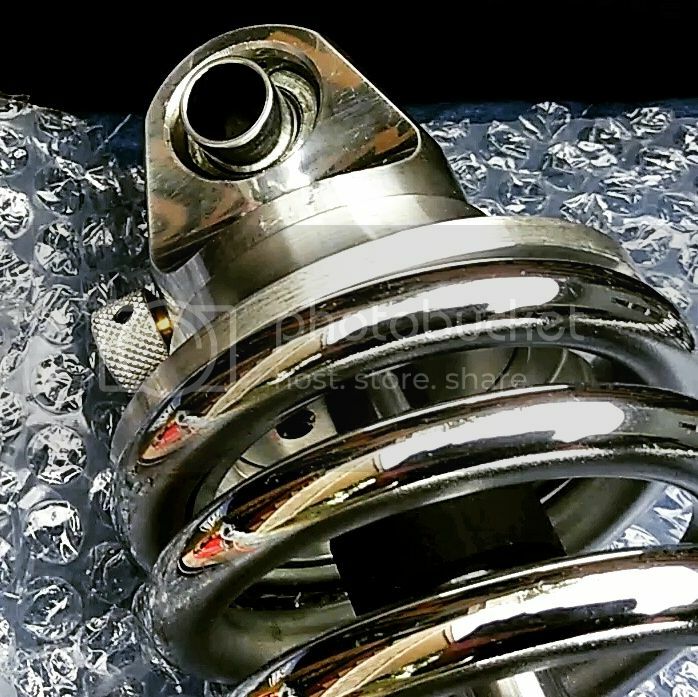 All of their kits come with black powder coated springs,but I wanted a little more flash,so I went with custom chrome springs,which they offer in their shock only kits where the customer can pick their own 12" spring. Just 3 business days later,the goods arrived at my doorstep and I can't be any happier with the quality! 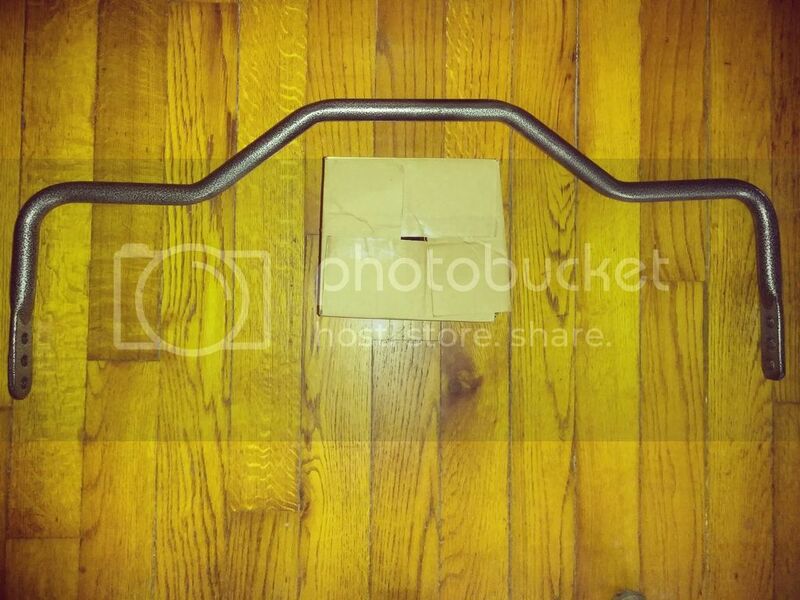 The first box I opened were the bracketry,hardware and spanner wrench. Since I have an eye for quality,I focused my attention on the powder coating and weld quality of the brackets which instantly blew me away! 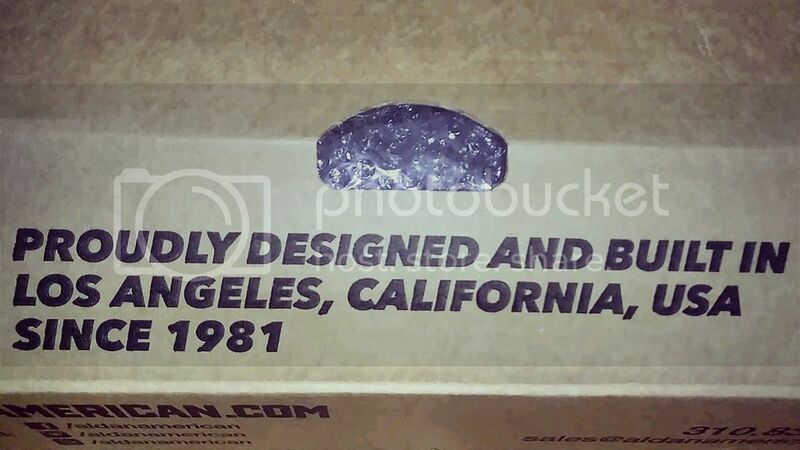 They have a pre-installed low friction spherical bearing, textured adjustment knob, polyurethane bushings,and best of all, they're ASSEMBLED and Made in USA! Everything to install is included in the box along with quality hardware, spanner wrench,and detailed instructions with pictures. This should be a breeze to install! 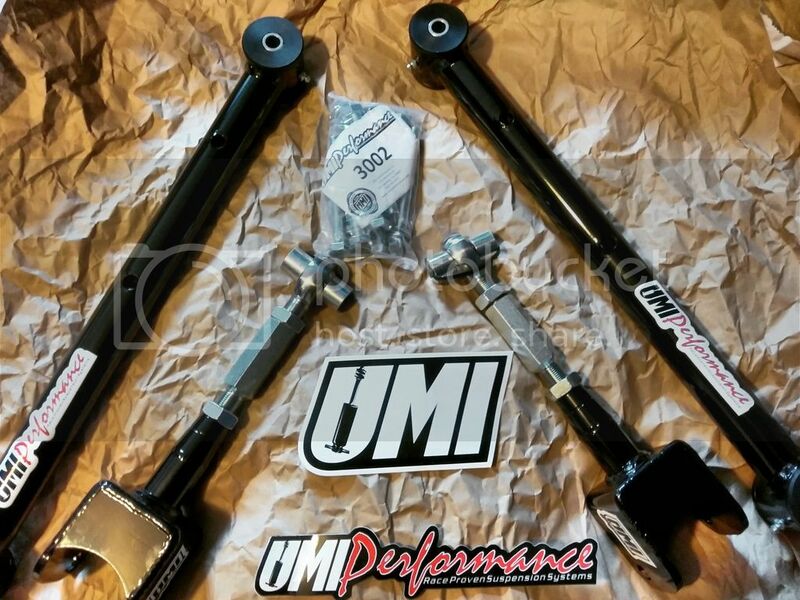 I also picked up a UMI control arm kit with fixed lowers and adjustable uppers which should go great with my adjustable rear sway bar by Hellwig. Thanks Robert! They definitely are! I'm stoked about installing these parts! I'm waiting for a few smaller parts to arrive and I'll get on it! Hi Beast! ... Your new rear suspension parts look GREAT!!! Looking forward to your "review" of the coilovers in a daily driver (as well as later updates. Keep on keeping on. Looking good,can't wait to hear how it handles,any plans for the front end geometry? Hey Doug, Thanks for the support! I'm definitely looking forward to showing everyone what they feel like once they're installed. Thank you! I had plans for the front and pulled the plug on them. I had CPP components for the front but returned them for a budget friendly option. I'm now running Power Stop Drilled and slotted rotors up front with a Hellwig Pro Touring bar. I ordered a pair of Belltech drop spindles,but may or may not use them. I plan to use Aldan American coilovers upfront which would be a better option to correct the poor G body suspension geometry. 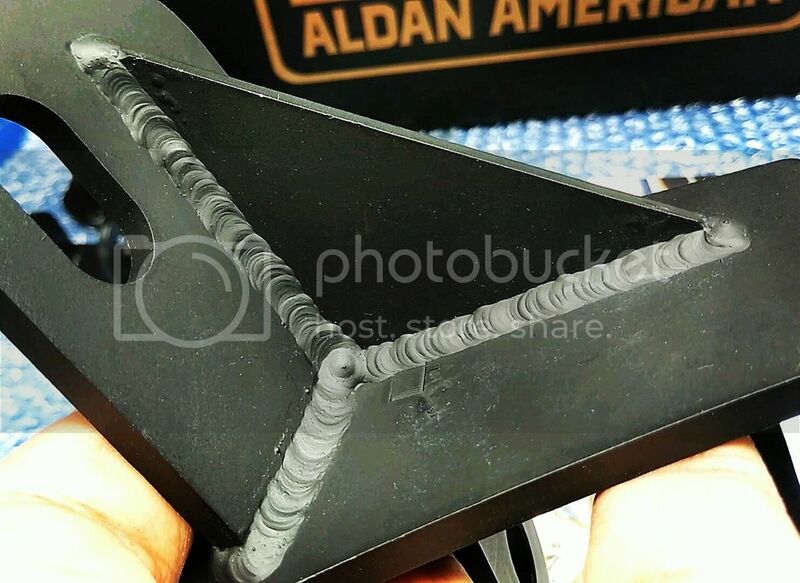 I just need to figure out which tubular control arm match with Aldan American.